A new report out today builds on the recommendations of the John Cridland report to provide more support to workers in midlife . The report details pilots by Aviva, L&G, Mercer and The Pensions Advisory Service to help workers in mid-life make realistic choices about their career development, health and finances. As the State Pension age increases and people work for longer, John Cridland’s independent review of the State Pension age called for employers to provide extra support as people enter mid-life to help them take stock and think about the future. Many misjudge the income they will need in future or underestimate the chances of having to manage a health condition or care needs. Report finds that supporting people in mid-life can give them time and space to prepare for the next stage of their career. Employers can benefit from an investment in the retention of their most experienced workers. 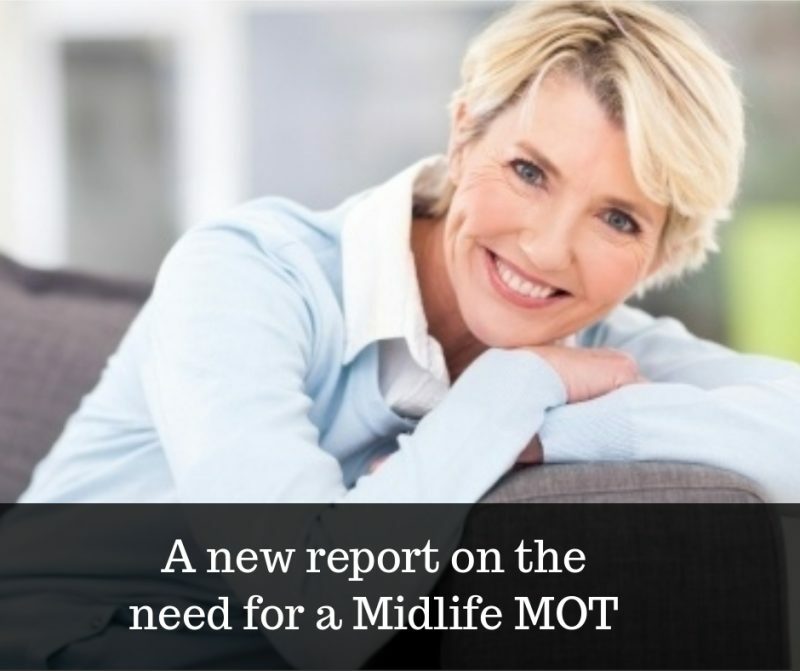 This is a topic I have written about often on Fab after Fifty – in fact one of my articles even refers to a Midlife MOT. There are so many areas of our lives that we should take stock of at midlife, including our health, career, finances and relationships , to assess where we are today and plan and prepare for our lives ahead to ensure that we have a healthy and fulfilling life ahead. Small changes we make today can really make a big difference to our future wellbeing. I’m pleased to see that the need is being recognised on a broader scale. Which is why I am excited to start to talk about a new Midlife MOT initiative I have been working on with lifestyle guru Garth Delikan , covering many aspects of midlife, due to launch very soon. We have been working incredibly hard putting together some fantastic resources as part of a comprehensive online programme to help navigate midlife and beyond. It addresses a lot of the concerns raised by readers of Fab after Fifty, and capitalises on Garth’s fitness, nutrition and lifestyle expertise , and of course my background in career development, business and reinvention. Watch this space! Of course, if you want to be one of the first to hear about it when it goes live (not long to wait) then sign up for our newsletter or the Fab after Fifty facebook page. Fuller Working Lives Partnerships announced by DWP: Is the issue of jobs for women over 50 now being taken seriously? Are the jobs out there for women over 50?